Little Carrigan: Maddox's First Easter!!! 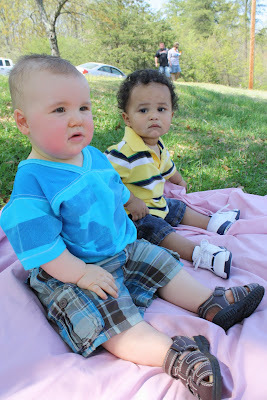 What a great Easter weekend we have had!!! Despite the fact I worked Friday and Saturday (which I am thankful for my work), the rest of the weekend was just perfect!! Saturday evening Chris me and Little Man went out to eat and of course made our good ole Wal-Mart trip!! What's a Saturday evening without a trip to Wal-Mart, right? 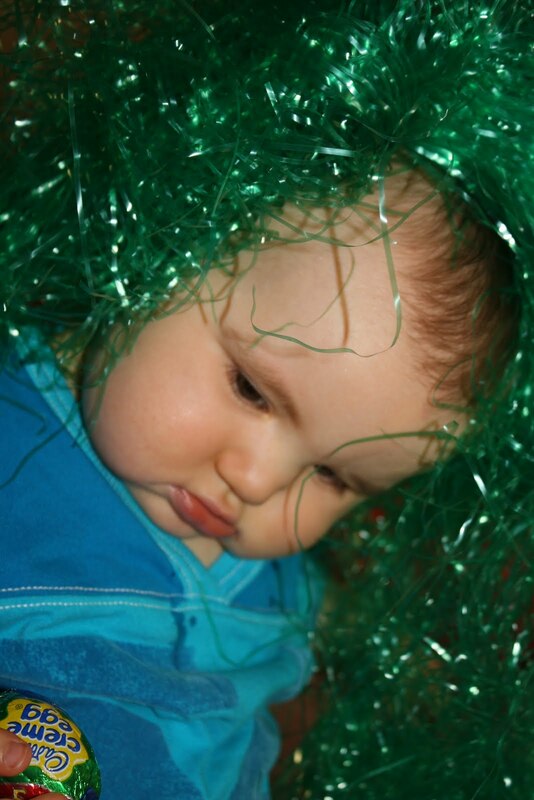 We picked up a few last minute Easter Basket items & a brand spankin new Dirt Devil vaccum cleaner!!! WOOHOO!! Nothing like having to buy a new vaccum cleaner, the old Bissell finally died so you just can't do w/out one! Anyway, it did a great job on our carpet, it seems so much fluffier now like it was brought back to life!!! Ha! Enough on that, on to Sunday! 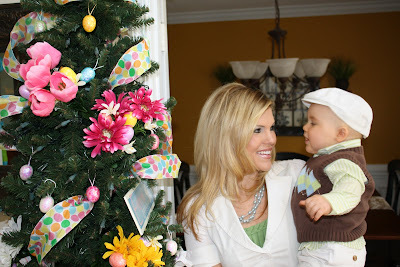 Me and Maddox before Church next to the Easter Tree! 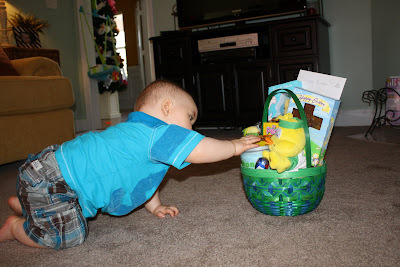 Getting ready to dig into his Easter Basket!! How fun!! 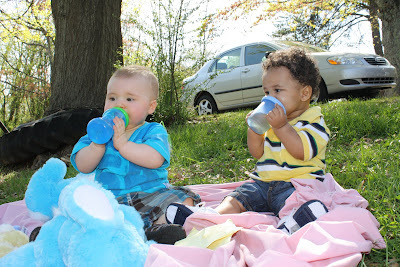 They actually decided to trade sippy cups...thank goodness I didn't freak out since it was family germs!Ha! 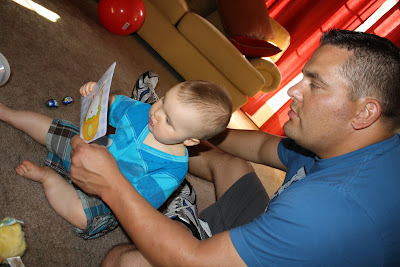 Daddy is reading him his emotional Easter Card!! If I only knew the mess this was going to make, I probaly would have thought twice but it made a really cute pic!! Play Ball!!!! Maddox what are you up to?? ?